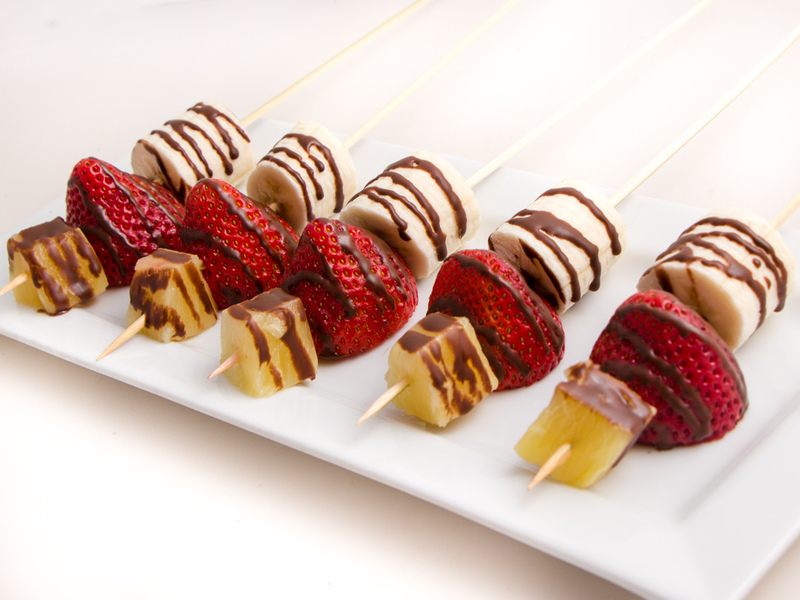 Banana Split Kabobs are an easy way to get your picky eaters to eat some fruit. It seems like so many of us have texture issues to foods, and we just can’t get past foods with textures that aren’t appealing to our palate. But a little sweetness can fix that quick. Kabobs are just a fun way to eat traditional food. Except is just more fun to eat it on a stick. I have served these Banana Split Kabobs for afternoon snacks, at dinner parties for a simple dessert, or even at the dinner table for the Fam! 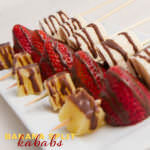 However you choose to serve these kabobs, you will love the combination of the strawberries, bananas, and pineapple bring. Add a little Magic Shell and Bam! 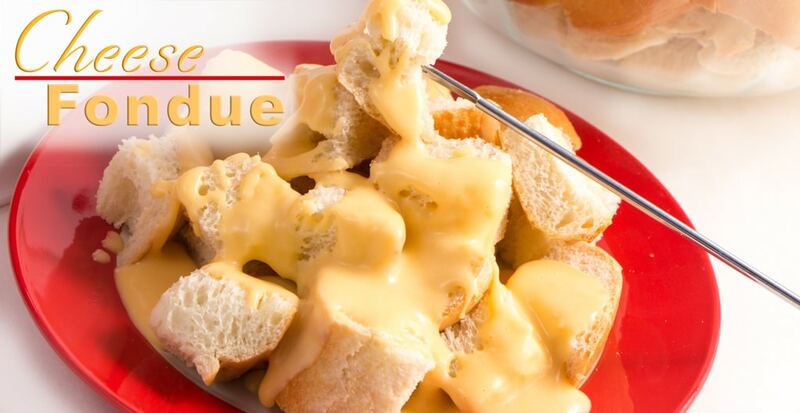 An Instant treat that everyone will love. These kabobs can even be made with the help of the little ones or the big ones in your house too. Just a few super simple steps and before you know it, you will have a plate full of yummy fruit and big smiles to go with it. Banana Split Kabobs are a fun treat. 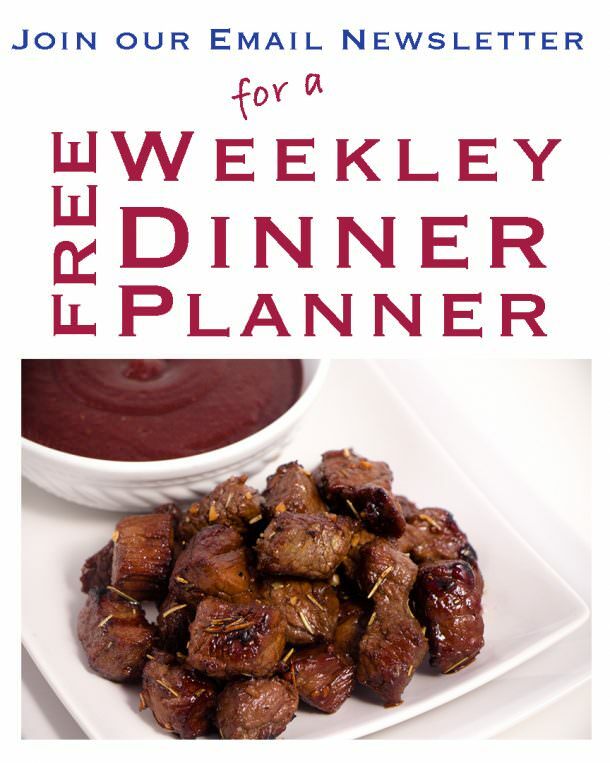 Take them to Game Night, Picnics, Pot-lucks, or just to add some color to your plate. We love a healthy version of our favorite Banana Splits! You can purchase bamboo skewers from Amazon or your local grocery store. Food is just fun when it’s on a stick. So Kabob! 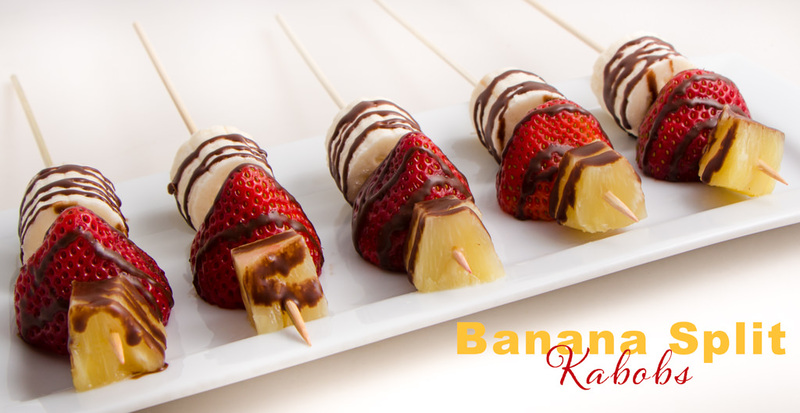 And enjoy these Fun Fruit Banana Split Kabobs. Banana Splits are a classic dessert full of flavor and ohhh so good! This twist on a classic is a bit healthier without giving up all the taste. 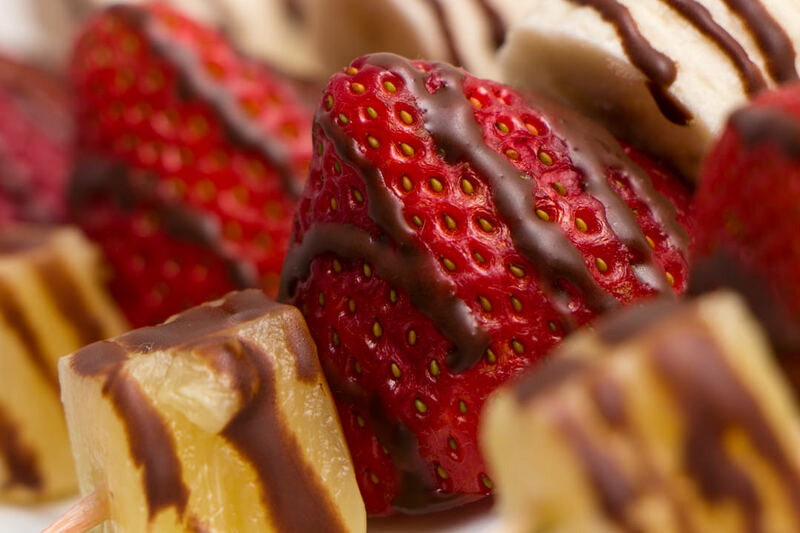 Make these fruit kabobs for your next dinner party or just surprise the family at the table. Any way you look at it, these kabobs won't last long. 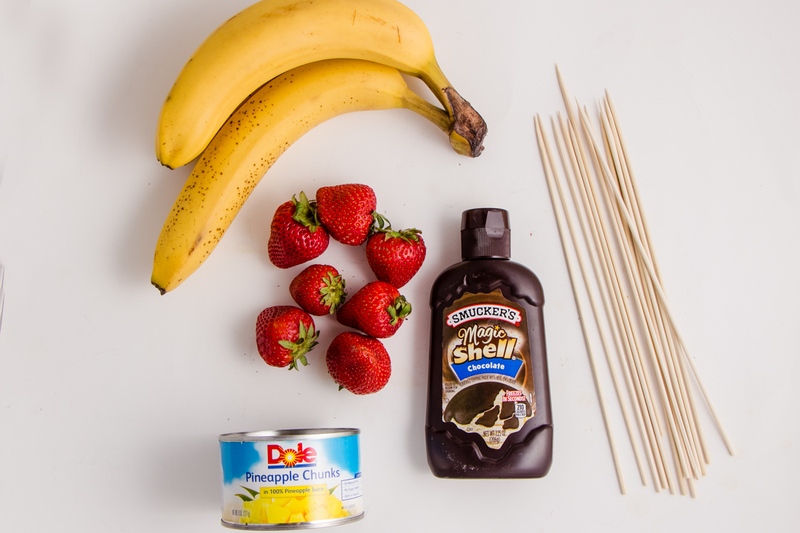 Place one strawberry, one banana, and one pineapple on each skewer and set on a cookie sheet. When you have made all your kabobs then place cookie sheet in freezer for 15 mins to chill. Remove from freezer and drizzle Magic Shell over kabobs. The cool fruit will set up the Magic Shell quicker. Place on serving plate and enjoy!